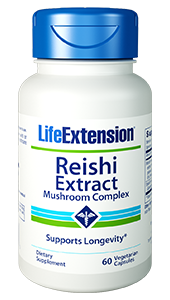 Thousands of studies have shown the powerful immune system benefits that Reishi mushrooms provide. Life Extension Reishi Extract Mushroom Complex has been standardized not only for polysaccharides, but for triterpenes as well, and it includes the spores. Other Ingredients: vegetable cellulose (capsule), starch, rice flour, L-leucine. 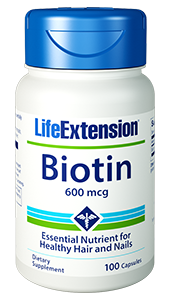 Take two capsules daily with or without food, or as recommended by a healthcare practitioner. 2. Bioorg Med Chem. 2010 Dec 15;18(24):8583-91. 3. Br J Pharmacol. 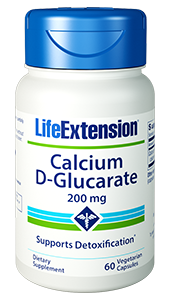 2003 May;139(2):289-98. 4. Int J Med Mushrooms. 2011;13(5):441-8. 5. Biosci Biotechnol Biochem. 2009 Dec;73(12):2589-94. 7. Mol Pharmacol. 2006 Aug;70(2):637-44. 8. Chem Pharm Bull (Tokyo). 2002 May;50(5):623-9. 9. Acta Pharmacol Sin. 2003 Apr;24(4):321-6. 10. Curr Pharm Biotechnol. 2009 Dec;10(8):717-42. 11. Am J Chin Med. 2011;39(1):15-27. 12. J Biol Chem. 2009 Dec 11;284(50):34479-89. 13. J Basic Clin Physiol Pharmacol. 2009;20(4):289-307. 14. Clin Nutr. 2010 Jun;29(3):406-12.